A remodeling project isn’t just about what you want right now. It often must also be about what you may want (or need) at some point in the distant future. This is especially true if you will be investing a lot of money into this remodeling project and don’t plan to do another one for the foreseeable future. For many people, that means taking the time to think about ways they can make sure their current or upcoming home remodeling project will help their home be comfortable and functional years from now, so that they can remain in the home they love even if they have physical challenges in the future. As mentioned in this article, many people—especially Baby Boomers—are trying to be proactive by considering any special needs or issues they may have with regards to living in their home years from now. They are then incorporating those elements into their home remodel now. This way, they won’t need to worry about having to leave the home they love because it cannot accommodate their physical needs or limitations. One common strategy is to establish space on the ground floor that can allow for one-story living if the need arises. So even if a room is currently used as an office or gameroom, it can be easily converted into a bedroom or master suite if necessary in the future. Installing safety features and easily accessible elements can also be helpful. And of course it’s important to evaluate the space for any hazards, such as stairways or steep inclines. 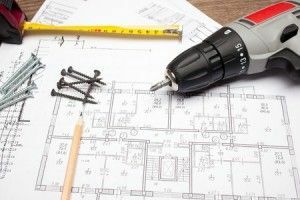 At RW Remodeling, we can help create a plan for your home remodeling project that meets your current needs and any consideration you may have for the future. If you need help with your remodeling project in Phoenix, Paradise Valley of anywhere in the region, contact us.